If you were counting on a big tax break to help you buy a new car this year, forget it. Most federal tax incentives for new car purchases expired at the end of 2011. A few survived into 2012, but they are limited to two types of car -- electrics and plug-in hybrids -- and you'll have to figure for yourself whether the tax incentive is worth the extra cost of the vehicle. Most cars that qualify for the credit are more expensive than non-qualified counterparts. All boast better mileage rates, but depending on your driving, you might not save that much over a non-incentive vehicle. 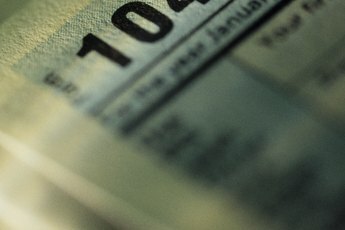 Federal tax credits in 2012 are limited to seven electric cars and two plug-in hybrids. You get a $7,500 tax credit for buying one of those cars. The good news is that the $7,500 is a tax credit, not a deduction. A credit comes off the actual amount of tax you owe; a deduction simply reduces your taxable income. You score more with a credit. You must be the original owner of the electric or plug-in hybrid vehicle. 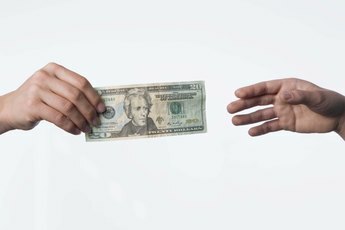 Be careful about this incentive, as some dealers put titles in their name, then sell them to you. The tax credit goes to the first name as a buyer, so if the dealer is there first, you might lose the credit. You also will have to finance the car (unless you can pay cash), and that will add to your total cost. Also, you won't get the tax credit immediately; it comes when you file your next tax return. You might be able to get some benefit of tax credits with a leased vehicle. The dealer or leasing company will claim the credit for purchase of the car, but might pass some of the savings along to you as a lessee. Chevrolet and Nissan, two of the manufacturers of qualified vehicles, say they'll pass the credit along on leases by reducing lease expenses slightly, spreading part or all of the $7,500 credit over the lease term. The two plug-in hybrids that qualify for tax credits are the 2011 and 2012 Chevrolet Volt. Qualifying electric cars are the 2012 Fisker Karma, 2012 Ford Focus Electric, 2012 Mitsubishi i-MiEV, 2011 and 2012 Nissan Leaf and 2010 and 2011 Tesla Roadster. Remember that you must be the original buyer, even on models older than 2012. Buy early if you are inclined to grab the tax credits. They begin to expire when a manufacturer sells 200,000 vehicles. They are reduced at first, then will expire completely by the end of the year. You still might get some sales tax or other incentives in some states, but you'll have to check with your state motor vehicle department. How Much Does a Car Depreciate? 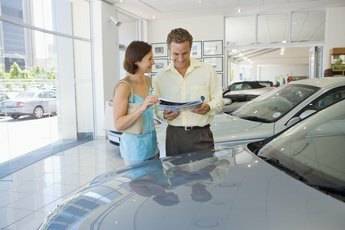 How do I Save Money When Buying a New Car?